The position of Orthodox Dogmatic teaching is that heaven and hell are not two limited places where the righteous are rewarded and the unrighteous punished after death, nor that hell is a region of concrete instruments of torture. Heaven and hell are states and forms of relationship with our life-giving God. We ought to clarify that there is only one energy of God, just as there is one essence and one will. This creative and recreative energy multiplies through the diversity of created operations. Thus, because of differences in receptivity and faith, as well as variations in people’s conceptual powers, some will perceive God’s single energy as love, others as mercy, punishment, justice or hatred. In essence, there is the one creative energy of God, which the damned perceive as hate or punishment, because of their hardened soul, whereas the blessed see it as love, happiness, boldness and consolation Thus, God’s friends (the sanctified) look on Him and are overwhelmed with unimaginable pleasure, whereas the damned do not see Him and live in inexpressible pain. Saint Basil the Great compares the created beauty of the sun with the uncreated beauty of the Sun of Righteousness, that is the Kingdom of God. One can readily understand, therefore, what joy is experienced by those who gaze upon the noetic Sun, and what sorrow is the lot of those who do not. Just as those who see the created sun in this life and pity the blind who are unable to do so. Holy Scripture tells us about the pain of the dissolute, which is caused by divine fire. 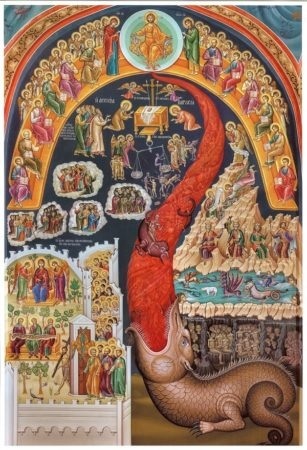 Is this actual fire, as Augustine claims, or a vivid, symbolic image taken from created reality? It is clear that, for Orthodoxy, the fire of hell is uncreated, as the uncreated energy of God. Of course, the Scholastic theologians had, and perhaps still have, a different view, because they believed that the fire of hell is actual and that in heaven we see God’s essence. Thomas Aquinas, in the Summa, says that the glorified human eye is able to see the essence of God. It is obvious that the interpretations of Western theologians are very different from those of their Orthodox counterparts. Any confusion or equation of Orthodox and Western theology results in erroneous conclusions and leads to unsound theological positions. Moreover, it is bad scholarly practice to project Western views as Orthodox and vice versa. Heaven is not the mere post-mortem survival of human existence, nor a condition of well-being. Our immortality is won through participation in the inexhaustible and interminable Triune God and is, above all, a process of becoming free, a movement towards God that is constant and never-ending. It is our perfection and completion, a progression towards being in the likeness of God. As regards the infinite, insofar as this has to do with God, it is not to be understood philosophically. According to philosophy, God is the Being, a self-existent reality Who has neither beginning nor end. In theology, however, this definition of the infinite is not sufficient, because God is not merely infinite but also uncreated. As uncreated, He is also inexhaustible: He creates and constantly gives substance to His creatures, and He is activated eternally towards the support of creation. Because of God’s infiniteness and His attribute of being uncreated, no-one who participates in God can ever be fully satisfied, at least in this heavenly condition or in the phase of becoming perfect. This is why, in the heavenly situation, there will be no sense of satiety, nor a static state, but rather a continuous progression and perfection of rational beings through their participation in God. Patristic theology does not take our advancement in the vision of divine glory as something magical or mechanical. God is the Creator and Lord of life. He rules as regards nature, but out of His respect for our independence, He does not dominate our free will. This is why the resurrection is not restricted to a caste of chosen ones, but is a general, universal fact. God grants us being and well-being. Being is given without His asking us, but well-being is conditional on our will. Just as God did not ask anyone about the creation, so He will not ask about recreation, the abolition of death and the resurrection of the dead. God does not sanctify the will by coercion, hence the existence of hell, which is a condition of people who have been resurrected but whose will is unhealthy. Heaven, on the other hand is the state of those who have been resurrected with a sanctified will. The will of those in hell cannot be sanctified by God by force, because, as Gregory the Theologian points out ‘Good is not good if it does not come about in a good way’. Because God respects our freedom, He does not interfere with our independence. 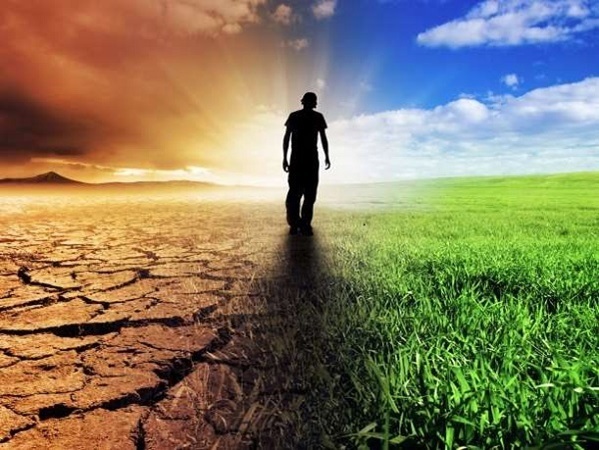 In the end, the restoration of nature is a task for the Triune God, while healing our will is the result of cooperation between humankind and divine Grace.